Gator Golf Cars in southwest Florida is a part of your lifestyle of golf, fun, and family. Go to Gator Golf Cars for a golf cart or golf car, and drive away with a vehicle that lives an active life with you. Vehicles from Gator merge with your family’s way of living to such an extent that a Yelp user remarked that these carts make significant appearances in his community’s golf cart Christmas Parade. Whether you’ve decked out your cart for a parade or equipped it for the links, you’ll zip around in a reliable, high-quality cart with one of the many gator golf carts. With two locations in southwest Florida—Naples and Ft. Myers/Estero, Gator Golf Cars serves the people in the region seeking golf carts, golf cars (low-speed vehicles, or LSVs), and utility vehicles. This company is not just the only authorized Club Car dealer in southwest Florida; Club Car designated them their number one dealer in the United States. Because your golf car needs are unique, you have a wide variety of gator carts to choose from. Your Gator people aren’t there to merely sell you a gator golf cart; instead, they’re there to help you purchase the perfect cart or car for your golf game and way of life. Golf Cart vs. Car: What’s the Difference? Golf carts, like the gator golf carts, are designed specifically for the golf course. You can think of them as being primarily for the sport—a gator sports golf cart is different from a golf car of LSV. A gator golf cart is equipped with what you need for golf, including the basics like a scorecard holder and bag carrier. Custom accessories are available, too, and the Gator folks can help you add precisely what fits your golf game and style. Gator Golf Carts sells highly respected golf cart brands: Garia and Club Car. Golf courses purchase fleets of Club Cars through Gator. Individuals buy them for personal use, too. Gator offers both the Onward models and the Tempo models of the Club Car. The experts at Gator will help you choose a perfect match for your game. Garia golf carts are elegant models inspired by the style of Mercedes-Benz. Gator sells five models so golfers can travel course in style and luxury while relying on quality performance. If you’re looking for a low-speed vehicle so you can go beyond the boundaries of the golf course, Gator Golf Cars has you covered. LSVs are used for recreation, including golf and cruising around the neighborhood (activity kids often enjoy doing with you); transportation to activities, nearby events, stores in proximity, and the like; and even participation in holiday parades. While as of April 2018, the Gator website also lists Western Golf Cars as an available car, Western is legally classified as an inactive company. Therefore, it’s possible that Gator will no longer continue to sell Western Golf Cars golf carts. For some, the choice is easy and straightforward. Avid golfers who only want to use their vehicle on the golf course will need a cart; likewise, someone who doesn’t golf much but wants to have an electric vehicle for errands and jaunts around the neighborhood will need to have a street-legal LSV car. For some, though, the choice isn’t as clear. What if you play golf and want a car for community use? You can choose a cart or a car, but which would be better? A few significant considerations can help you decide. Comfort is essential, too. Golf carts can be less comfortable than street-legal golf cars; however, with all of the extensive customization available as well as different levels of both carts and cars, it’s not an automatic rule that an LSV is more comfortable than a golf cart. The number of passengers you want to carry is a crucial deciding factor. A golf cart is designed to hold only two people; it’s not intended to handle the extra weight of more than two. This is due to the suspension and frame and is both a distance and a safety issue. If you’ll frequently have more than two in the cart, an LSV is probably in order. Selecting a golf cart or a golf car can be a surprisingly difficult decision. The people at Gator Golf Cars have insider information to share and will assist you in selecting what will make you the happiest. 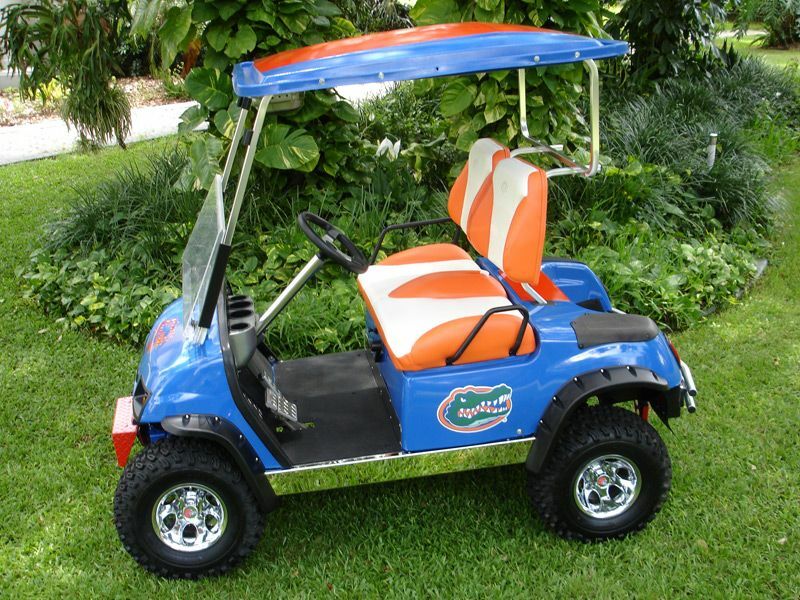 With Gator Golf Carts, you can customize your vehicle. Whether you want unique accessories, paint, or an entirely individualized body, Gator technicians will work closely with you to design just what you’re looking for. You can have a reliable, high-quality cart or car without settling for a standard look and option package. 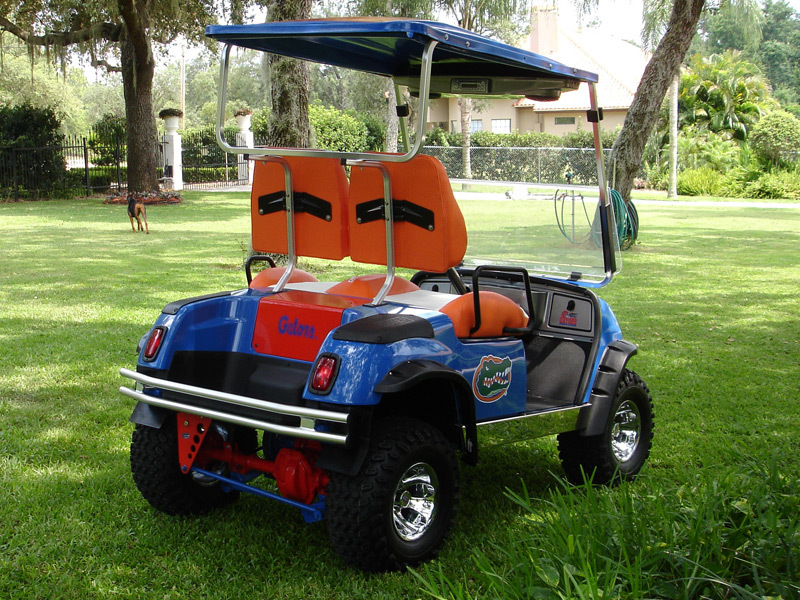 Express your personality, flaunt team colors, turn an ordinary cart into one with unique artistic style: if you can envision it, the chances are high that Gator Golf Cars technicians can create it. Of course, safety and operating standards are never compromised. Need a work cart for personal or professional use? A utility gator will help you get your job done. You have some options depending on your needs and type of work (heavy- vs. light-duty). Rather than standard utility cars, Gator Golf Carts works directly worth you to customize an LSV to your specific requirements. Technicians can recommend and design different tire options, bed types (such as open-bed or closed-bed), and more. There is another utility gator option for those needing heavy-duty vehicles. This one isn’t available from Gator Golf Carts but instead is a brand in and of itself. The John Deere Gator is a mostly commercial utility LSV. Learn more directly from John Deere. True to its mission of helping you choose and enjoy the golf cart or LSV that is right for you, Gator technicians stick with you and your cart as long as you own it. Service technicians are factory-trained professionals that know these cars well. They can custom-design them, and they can service all models. The goal is to maximize performance and safety as well as to keep you enjoying the course, the road, or both. Gator service is responsive and convenient. Heavy use of carts increases service requirements, and the service departments recognize this and respond accordingly. Lighter use typically results in less frequent servicing; however, it’s vital that carts be maintained regularly and repaired if needed. Your individual, lighter-use needs are equally as important as heavy-duty use, and the service technicians will respond to you swiftly and carefully. Reviews on Yelp speak to the outstanding service provided by Gator Golf Cars. People seem to appreciate that Gator will go into the community to meet you and your golf car where you are. Instead of requiring you to arrange for a toe truck, they come to you. Another option, depending on the exact service needed, is to have maintenance or repair done in the Gator shop. In that case, they offer pick-up and return. Both gator golf carts and gator golf cars provide a great deal of enjoyment on- and off the course. 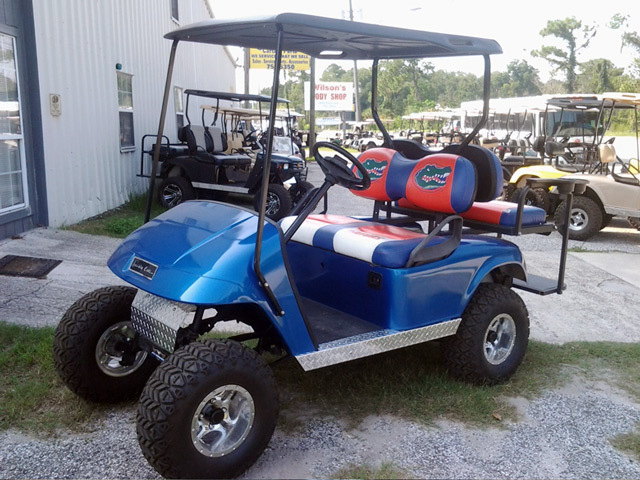 Feel safe, stylish, and secure in the knowledge that Gator Golf Cars will take care of you beyond the sale. You just might love your golf cart or LSV enough to join a parade.